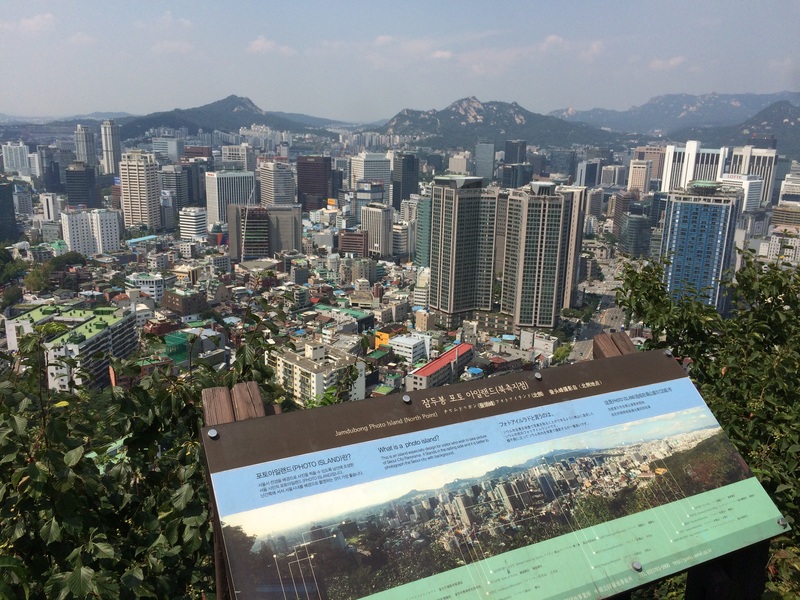 Off to Namsan Park! 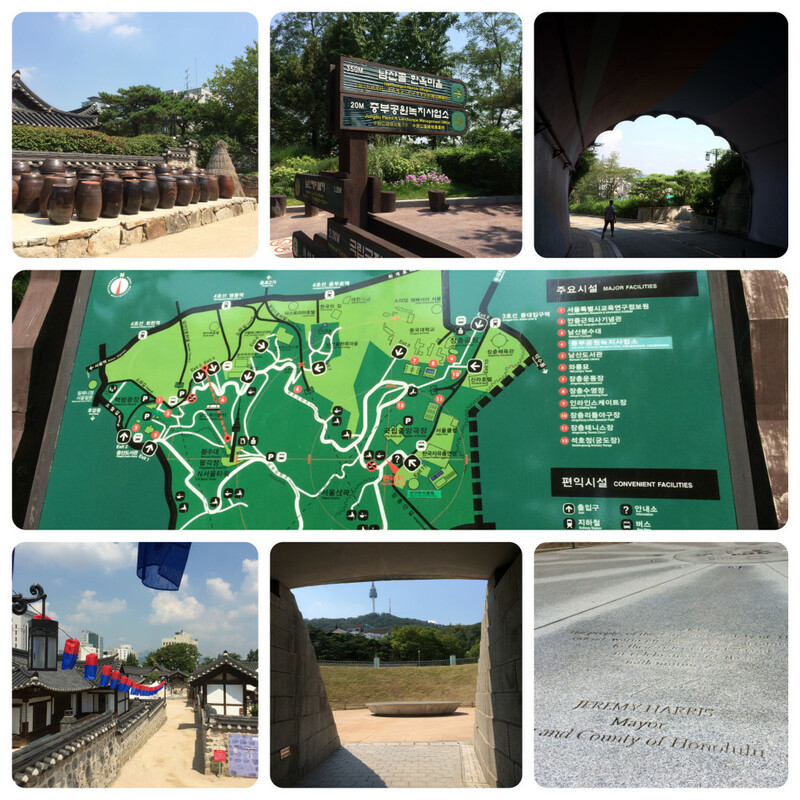 Clockwise from top left: inside the old school Hanok village, pretty consistent signage, tunnel decor, map of Namsan Park, 2 photos of a time capsule in the ground including a quote from the major of Honolulu, and another view inside the Hanok village. 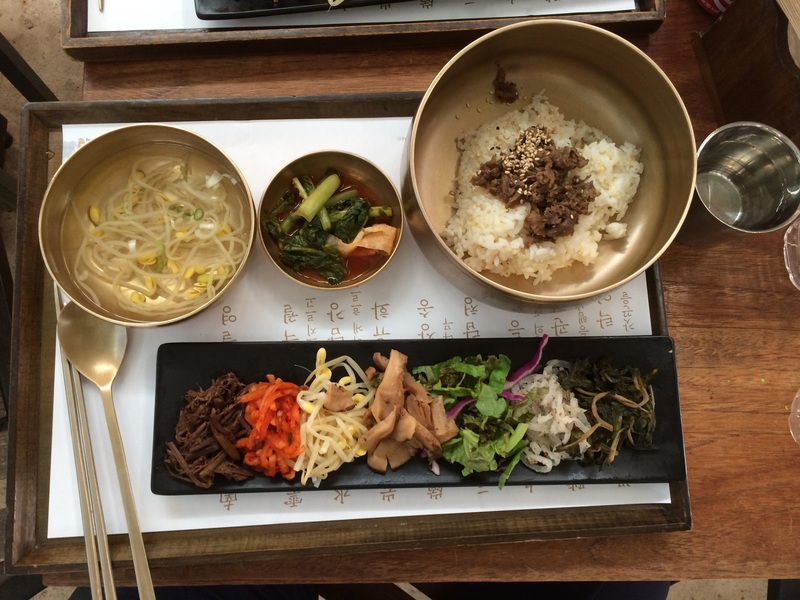 Despite the lack of a stone bowl, this bibimbap really hit the spot in the summer heat. Nom nom nom. 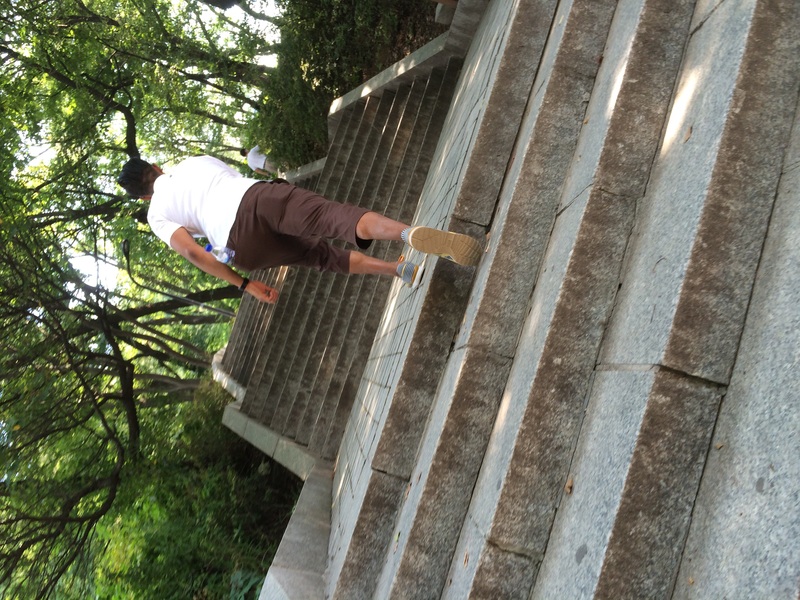 There were lots of stairs. Lots_of stairs. 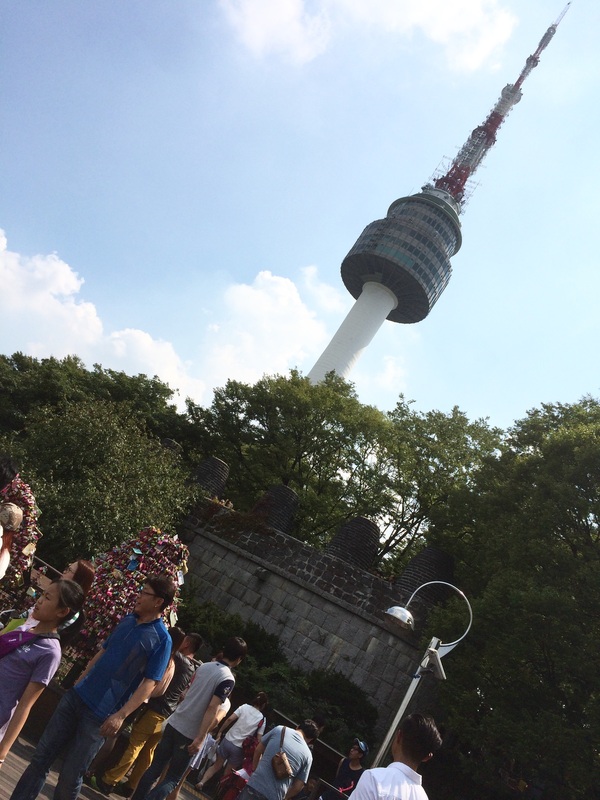 @Namsan Park: and a “photo island,” you know, for taking photos..
@Namsan Park: view of Seoul Tower. You can also see the giant metal ‘trees’ holding locks of love latched on by couples who come up here on dates. 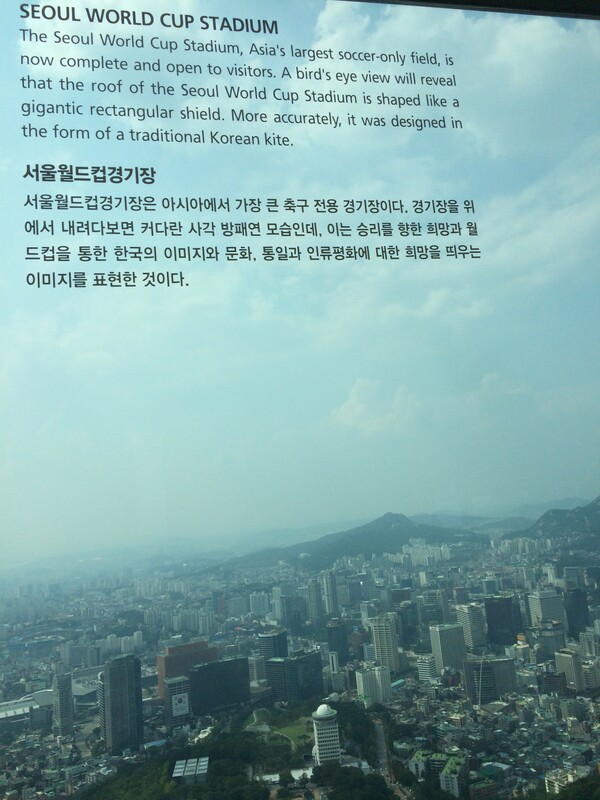 View from inside Seoul tower. 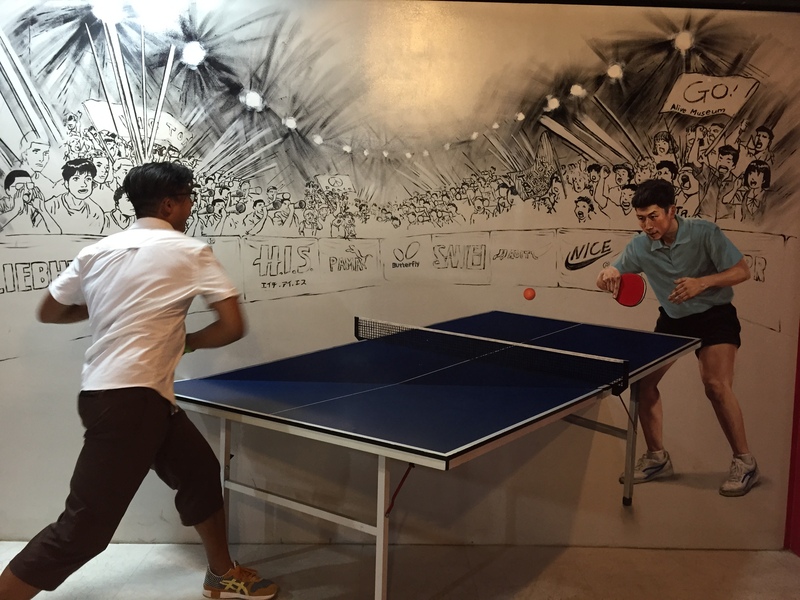 Not pictured: the zillion other tourists and couples on dates swarming the area. K was really into the Live Museum inside the Seoul Tower, filled with setups like this, and the previous picture. 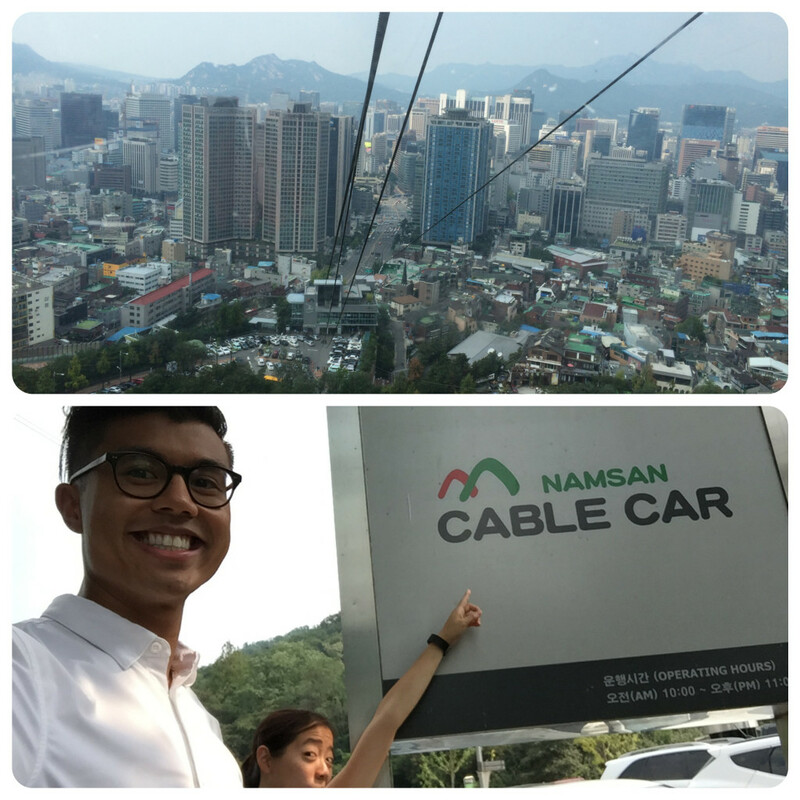 @Seoul Tower: okay, so there was a cable car too, which most people took up. We chose to only do one-way descent. 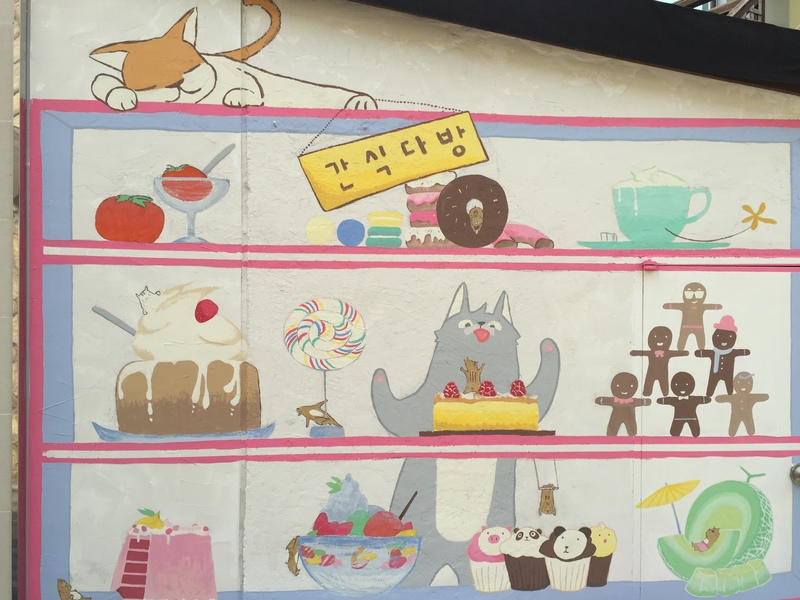 @Myeongdong: finally found some street art! 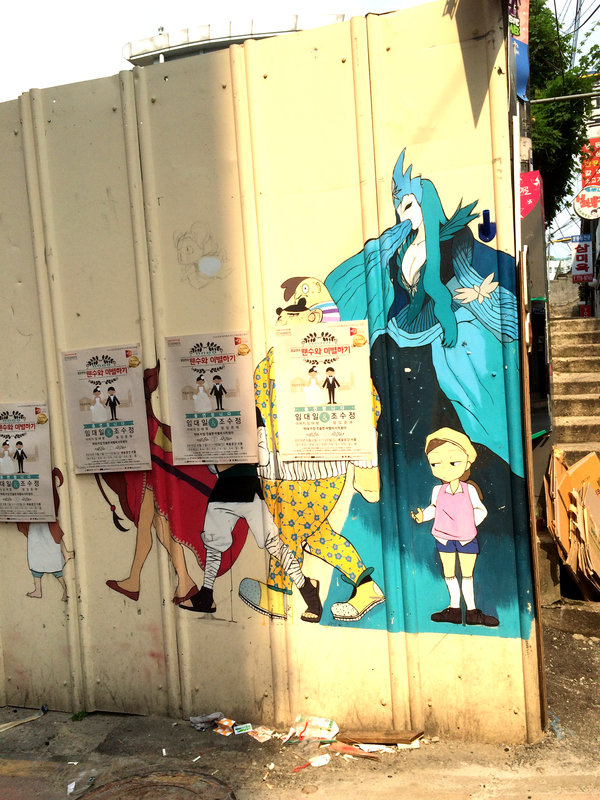 @Myeongdong: more street art. 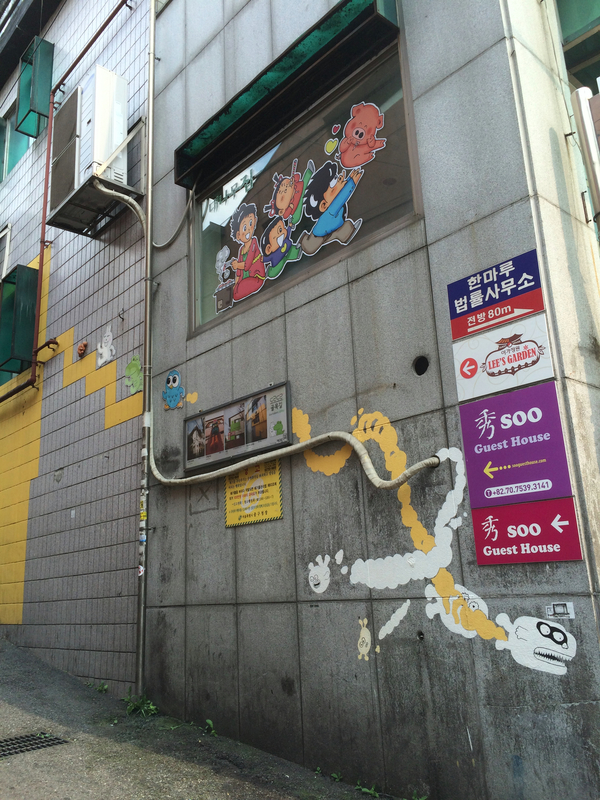 This might have been near an art school..
@Myeongdong: all variety of street food vendors! 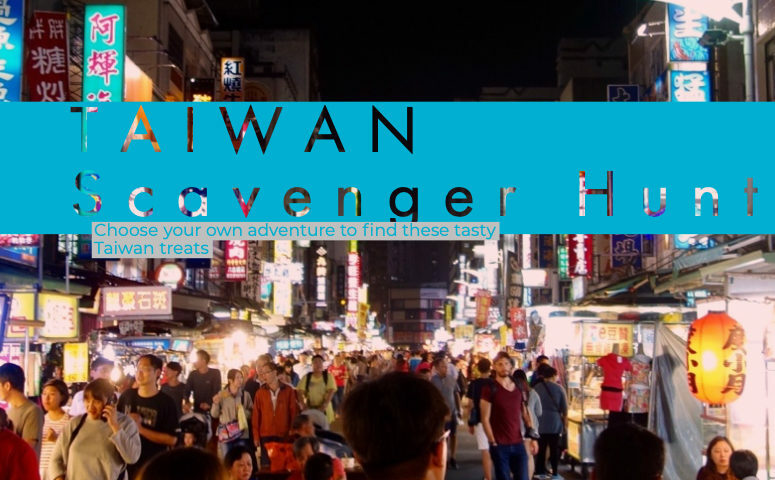 Smoothie makers, squid snacks, fish-shaped carb snacks, sugar snacks, something called water drop pudding, meatballs on a stick! An avenue of the shopping district is pictured in the center here. 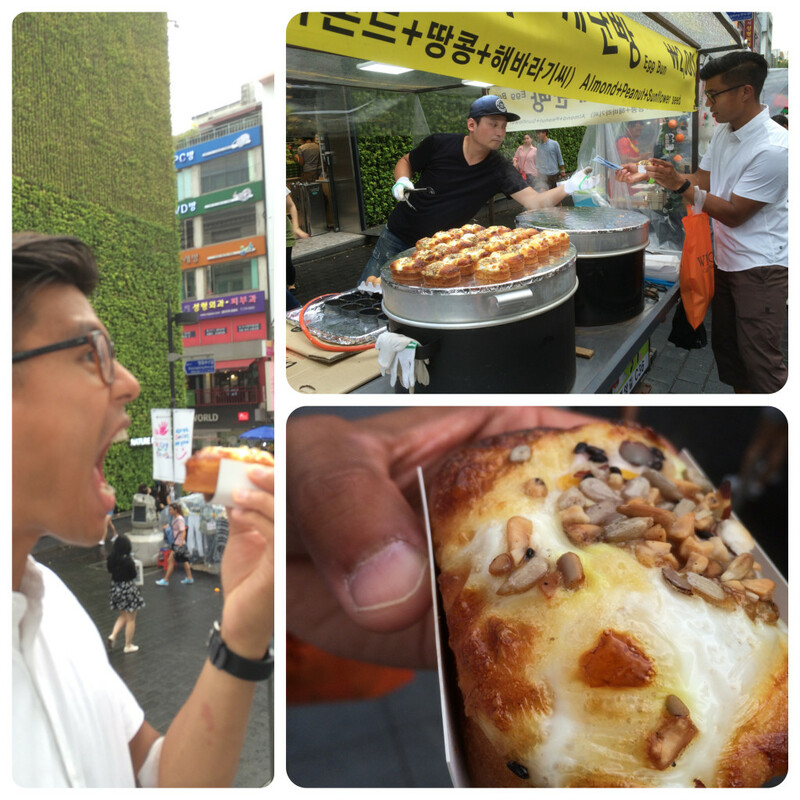 @Myeongdong: we tried this one: egg bun. The egg yolk was perfectly yellow in the middle, and the bread was just the right amount of fluffiness, with some sunflower nuttiness to set it all off perfectly. Yum. Also: it turns out when you take a gamble on one vendor’s food, you might accidentally start a crowd of people up for trying it after you. We were trendsetters, yaaaah! 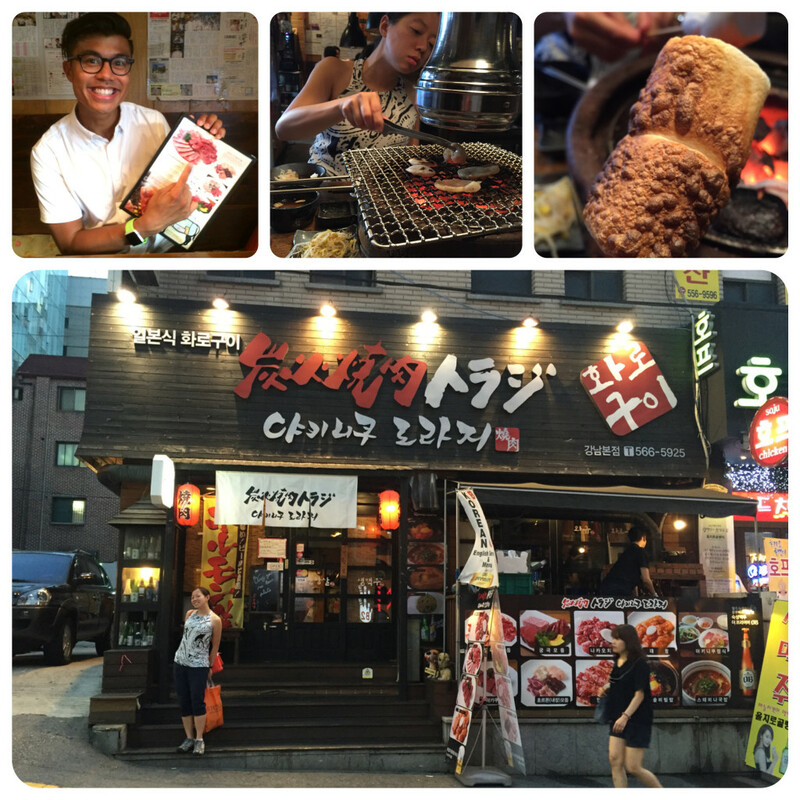 @Gangnam: finally, barbecue beef! This place was delicious. The poor waiter was wincing at how we overcooked the meat and came over to lecture us “five seconds!” Dessert was roasted marshmallows! Check out the nice, hot, portable charcoal setup. This was definitely a lot less smokey than the 50% broken fan setups I’ve experienced at the Korean BBQ places back in my neighborhood in the PNW. 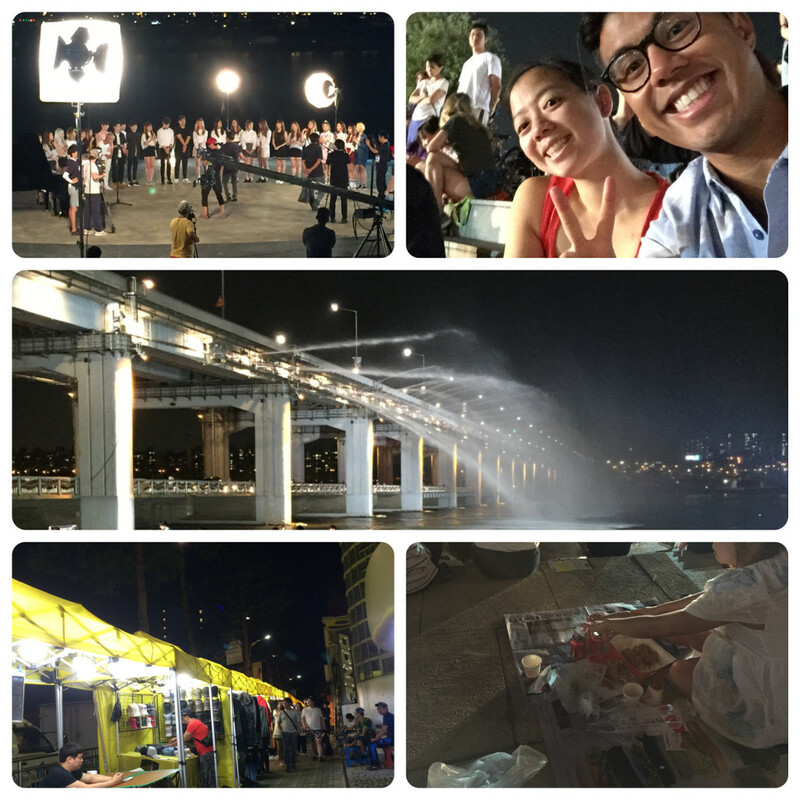 Went to the Banpo Bridge to see a light show, but you couldn’t see the lights due to the flood light from..the k-pop band making a music video! Had some fried chicken envy (bottom right view). 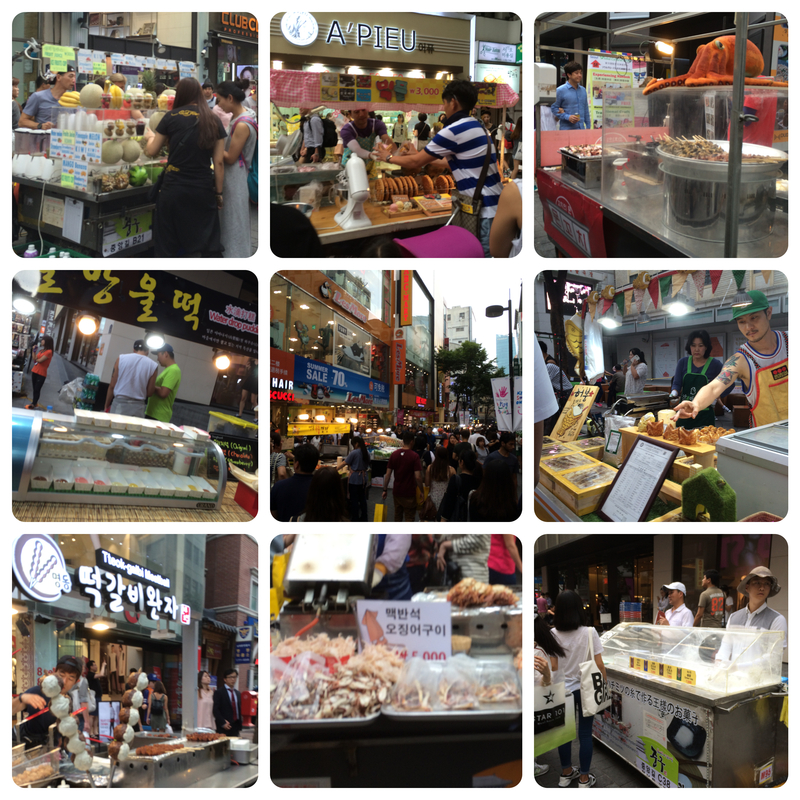 Also went and checked out some night market near Dongdaemun, but it was .. not spectacular. Back to the band: who were they? Girls Generation? Somebody else? We may never know..
For reference: here’s a link to a random Girls Generation music video. @Dongdaemun Cultural Center Station: night scene near market. Public transit here is so clean! Also buses were very conveniently frequent. There’s time indicators at all the bus shelters too, so nice. 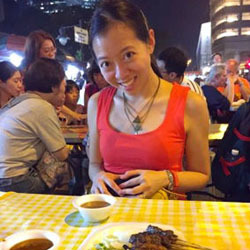 Food is so cheap! 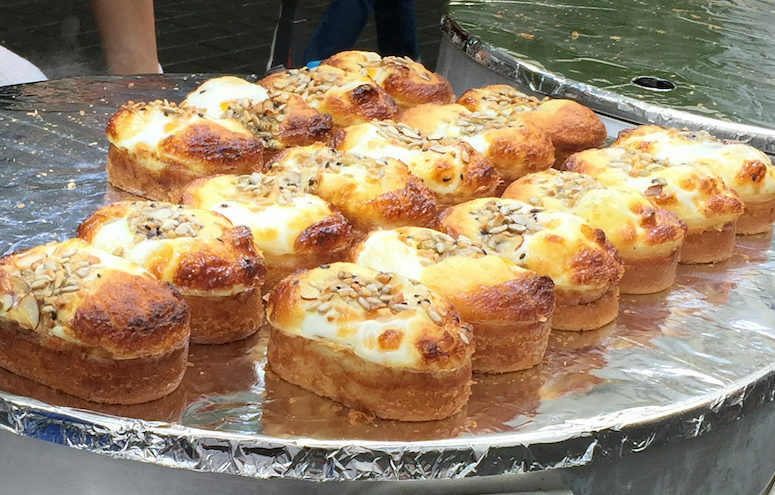 Gotta love a food-obsessed culture that keeps the demand high, prices low, and variety wide! 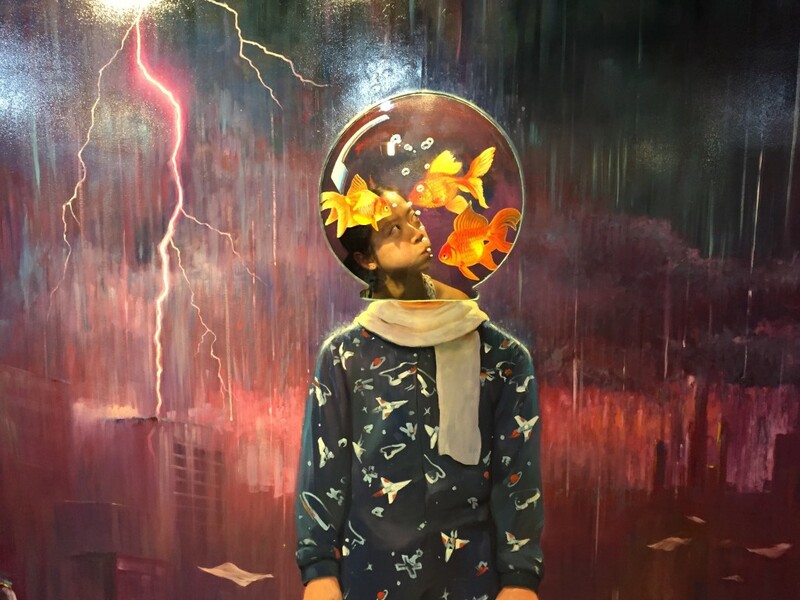 Pro-tip: if you find a place you want to get to in Seoul.. (via Foursquare, or go and search for it in Foursquare), go in to edit the address, copy-paste the address in Korean into Google Maps, then Google Maps (not Apple Maps) will give you directions there from your current location by transit. If you are within walking distance, you’ll get that dotted line thing that cross blocks and buildings and can triangulate from there (you brought your walking shoes and Superfeet, right?) I am excited to use this complicated procedure in other countries where I am completely illiterate as well. 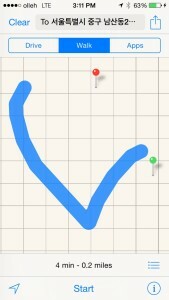 Such a relief, after several days of feeling blocked from internet GPS guidance..
@Myeongdong: this is your view on Apple maps if you try to get directions in Seoul. Aieeee! 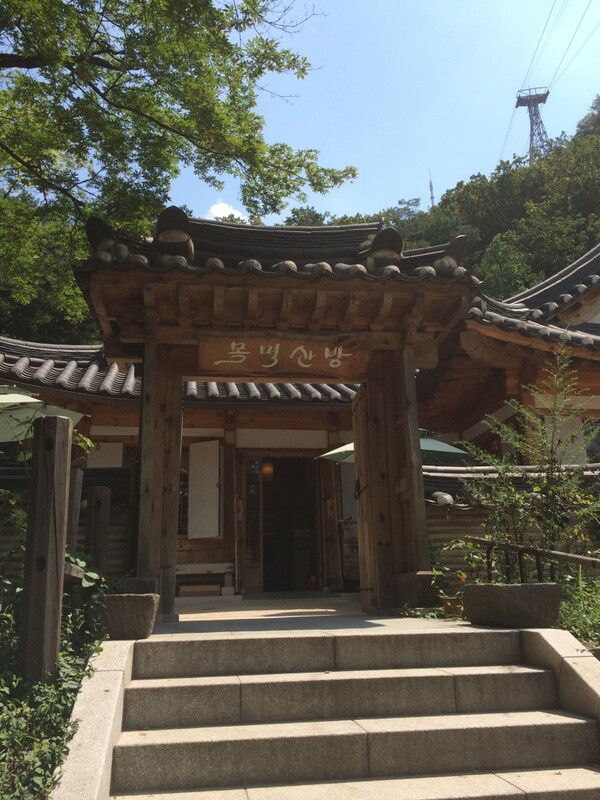 Click here for a look back at more Seoul adventures.